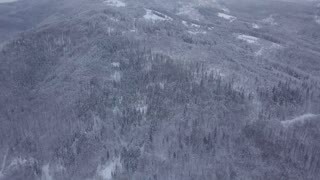 Search Results for "all terrain"
View from drone of endless terrain with coniferous woods all covered with white snow and frost on lands of Poland. All terrain vehicles driving down the road between hotels and houses in Aruba. All terrain vehicle in a back road in Canada. This small road is made of sand. Homemade Cross-Country Vehicle Rides Off-Road. Suv. The Atv. Homemade mass-produced all-terrain vehicle on the test drive shows itself off-road. Suv. The Atv. Children riding an all-terrain-vehicle on the farm. ATV all terrain vehicle racing on off-road sand dunes desert making dust clouds. Racing and having fun. 1950s: Hybrid all-terrain swamp vehicle moves through the swamp and disappears into the reed. Boy moves into the reed. 1950s: Hybrid all-terrain swamp vehicle moves through reed in swamp. Boy stands on canoe and paddles through swamp. Wooden house by the water. Man driving quad bike HD slow-motion video. All-terrain vehicle riding ATV on turn in forest. Four-wheeler quadricycle transport and extreme sport. Aerial San Rafael Deep Canyon Desert Off Road Recreation Climb 4K 218. Geologic landscape. Erosion rock towers, arches and canyon valley. Off road all terrain 4x4 vehicle ATV recreation area. Dry wilderness. Aerial Eagle Arch San Rafael Utah Slide Away Reveal 4K 175. Geologic landscape. Erosion tall towers, arches, canyon valley. Recreation area for 4x4 all terrain vehicle. Dangerous wilderness desert environment. Aerial Climb Natural Eagle Canyon Arch Utah Desert 4K 230. Overhead drone view. San Rafael Reef a geologic landscape. Erosion cliffs, and deep canyons. 4x4 all terrain vehicle off road recreation. Utah Desert Landscape Plants Deep Canyon Valley Slide 4K 5403.San Rafael Swell geologic landscape. Rock towers valleys and canyon. Off road 4x4 all terrain vehicle ATV recreation area. Aerial Beautiful Eagle Arch San Rafael Utah Descend 4K 172. Geologic landscape. Erosion tall towers, arches, canyon valley. Recreation area for 4x4 all terrain vehicle. Dangerous wilderness desert environment.